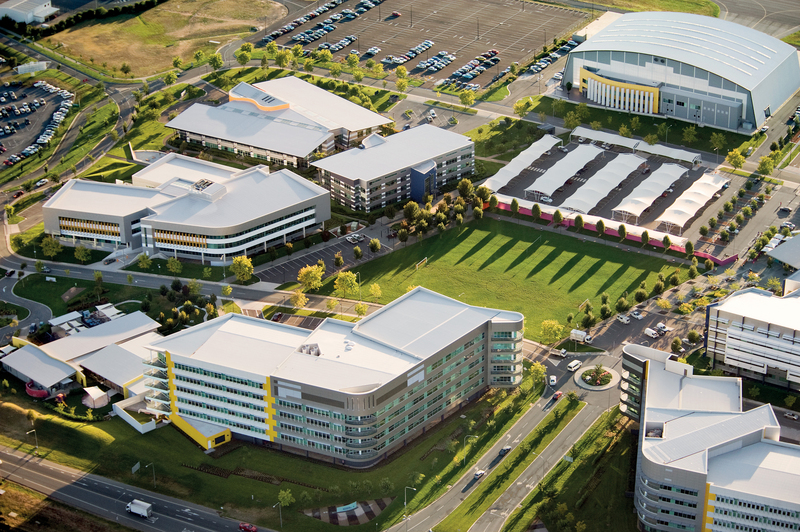 Commencing in 2003 Brindabella Business Park is a commercial office precinct adjacent to Canberra International Airport. It totals 100,000m2 of office space spread over nineteen A-Grade commercial buildings with 46 businesses, 7000 workers and 4000 car spaces. The aim of the park is to balance work, health and lifestyle in a modern commercial precinct incorporating landscaped gardens, cafes, gyms and playing fields, all linked by a network of paths and walkways. The park had one team of architects, engineers, landscapers, interior designers and project managers on all buildings, resulting in a consistent and high-quality product throughout.